Tangipahoa Parish is only about an hour north of New Orleans across the Lake Pontchartrain Causeway and 45 minutes to the east of Baton Rouge. The largest town in Tangipahoa Parish is Hammond, home to the Southeastern University of Louisiana. 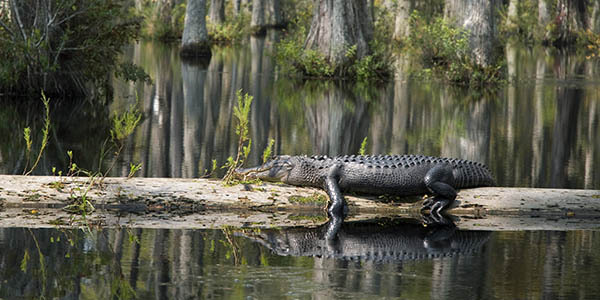 Hammond can be found at the intersection of interstates 55 and 12 and only about a half-hour north of Lake Pontchartrain and Lake Maurepas. Even in the dead of winter, you can delight in warm temperatures and limited precipitation in this part of Louisiana. This climate is why Tangipahoa Parish is known as the strawberry capital of the world. If you eat strawberries, there’s a good chance they came from here. Every Saturday year-round you’ll want to stop by the Hammond Farmers Market for fresh produce and unique crafts by local artisans. While you’re in Hammond, you’ll want to plan to stop at a few local businesses that have made their trade by doing it their way. 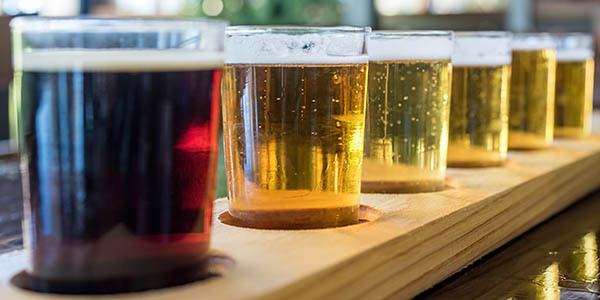 Hammond is home to a couple microbreweries that will allow you to take a tour, listen to some live music and sample some of the finest craft beers Louisiana has to offer. If you’re in Tangipahoa in March you’ll want to get your running shoes out and join in the annual Shamrock Run. If you’re here in November, you won’t want to miss the annual Louisiana Renaissance Festival. Dress as a fairy princess or master magician, king or queen, scoundrel or pirate. No matter what your taste, you’re sure to have a great time. The annual Renaissance Festival runs weekends in November and early December. Seeking high-speed adventure? Why not take the whole family for a race in Hammond. The River Road Go-Kart Track offers sleek, high-speed models that can go really fast or more sedate vehicles for the younger set. There’s something for the whole family. When you’re through with the go-karts you can take the kids to Safari Quest where they can play a few rounds of laser tag. If you need a break from go-karts and laser tag, you can stop by the Louisiana Children’s Discovery Center or Liuzza Land, Louisiana Children’s Discovery Center, where more than 30 different interactive exhibits and activities are tailored exclusively to kids. Tangipahoa Parish is the youngest of the Florida Parishes of Louisiana. The original natives, the Acolapissa Tribe, named the area Tangipahoa, meaning ear of corn or those who gather corn. In the early 1700s, settlers Pierre and Jean-Baptiste Le Moyne arrived from Montreal to colonize the area. These explorers bestowed the names Maurepas and Pontchartrain on the nearby lakes in honor of the French finance ministers who supported the exploration. In the mid-1800s, the railroad came to the area, businesses began popping up along the line and the area began to grow. The state of Louisiana needed to amend the parish boundary lines to allow for the growth; in 1869, Tangipahoa Parish was founded. Finally, don’t miss a visit to Camp Moore, located near the town of Kentwood. This original Confederate military training camp dates to 1861 and now serves as an interactive museum. The grounds were once used as a staging area and training facility, the largest of its kind in the state of Louisiana. Today, Camp Moore tells the story of the Civil War as seen through the eyes of the common foot soldier, from the battles they fought to the games they played to fill the hours between combat training sessions. The African American Heritage Museum is another must-see for those with a nose for history and art. Featuring eight galleries, more than 20 original large-scale murals and a massive collection of historic artifacts, the museum profiles the stories and contributions of African Americans throughout the country’s history. Check out the exhibit dedicated to buffalo soldiers, African American cavalry troops who served in the U.S. army’s Western campaigns after the Civil War. Outside of Hammond, the rest of Tangipahoa Parish is dotted with quaint small towns and communities that offer a quiet, relaxed pace. Amite City, Independence and Ponchatoula are particularly popular. Amite City is situated near the Tangipahoa River, making it a popular spot for kayakers, anglers and canoeists. As the parish seat, this is also the home for the Tangipahoa Parish Fair, held annually each September. In March, the town hosts the annual Oyster Festival.